A look ahead at hidden europe 57 which will be published on 15 March 2019. The next issue of hidden europe, due out on Friday 15 March, will explore the unhappy fate of the first great railway in the Russian Empire and celebrate the restoration of a fine cross-border canal. Our Message in a Bottle column will come from a small Croatian island. We shall also report on Basque seafarers who ventured to Newfoundland and Labrador in the 16th century. Also in hidden europe 57, we’ll unpack the oddball history of the Old Believers who resisted Patriarch Nikon’s liturgical reforms in the Russian Orthodox Church and fled into exile. 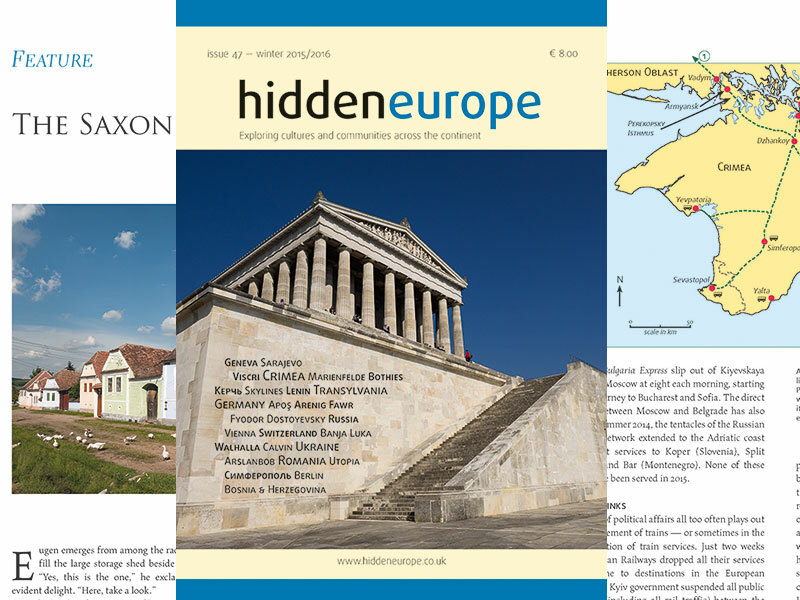 You can support hidden europe by purchasing the magazine as a gift for friends and relatives. And the upcoming Christmas season is of course a fine time to do that. Our special Advent offer on our website at will be available from 13 November. Please order by 14 December to secure the best chances of pre-Christmas delivery.